Nov. 8 may be in the rearview mirror, but discourse on the 2016 presidential election is far from over. 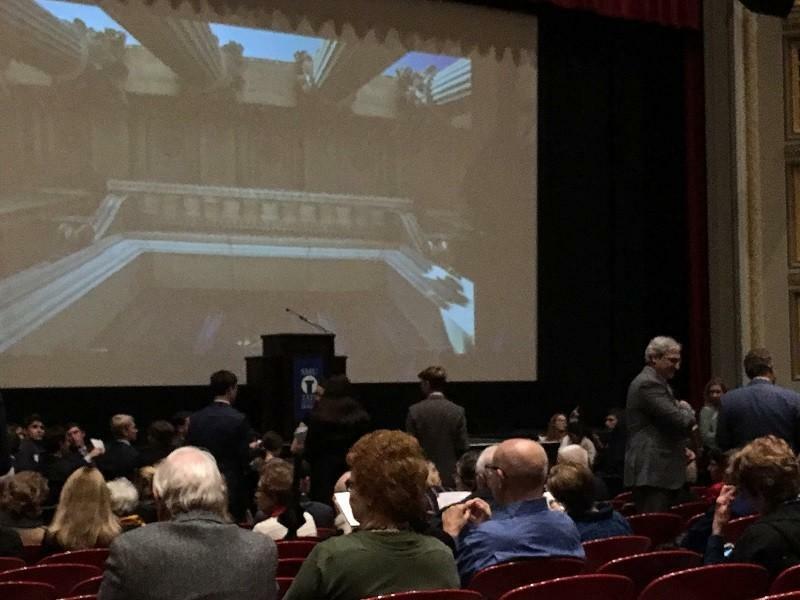 More than 75 people engaged in a lively student forum regarding politics and the media led by Pulitzer Prize-winning journalist David Leonhardt of The New York Times Tuesday afternoon. 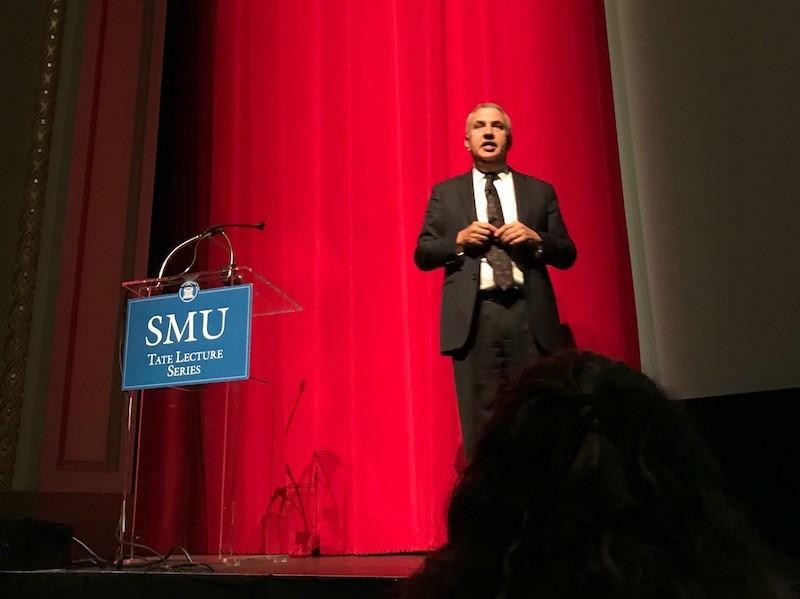 Following the question-and-answer session in the Hughes-Trigg Student Center Ballroom, Leonhardt walked over to McFarlin Auditorium where he was the guest speaker for SMU’s Tate Lecture Series. Leonhardt has worn many hats during his 17 years at The New York Times, specializing in politics, policy, economics and analytical journalism. Moderating the afternoon forum was Dedman School of Law student Kori Rady. Rady said Leonhardt was a natural at keeping the audience engaged. Leonhardt covered a variety of political and media related topics to satisfy the curiosity of the diverse audience, which ranged from teenagers to senior citizens. Rows of chairs were filled with Garland High School students who attended the forum to earn extra credit. Another Garland teen was one of five or so audience members to ask a question during the forum. The high school student asked Leonhardt about his thoughts on the protests erupting around the nation in response to President-Elect Donald Trump. “I love protests!” Leonhardt answered. He then elaborated on his love for democratic demonstrations by saying the American people need to move on from protesting the election outcome and start protesting actual policies. Leonhardt leans left in his op-eds for the paper, but the writer took a slightly more neutral stance during the forum, voicing his concerns on both ends of the political spectrum. He addressed the accusations of bias in The New York Times’ reporting, attributing a lot of it to the lack of diversity on staff. Leonhardt also expressed the many concerns that consume him when imagining a Trump presidency, but ultimately ended with a hint of optimism.